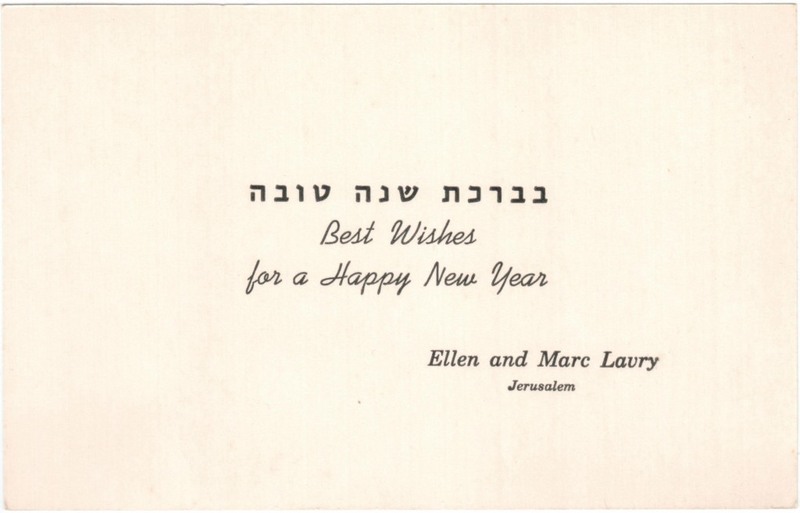 In Lavry’s desk drawer we found a personalized New Year greeting card of the composer and his wife from the late Fifties. We feel optimistic about the coming year and there’s nothing more fitting than one of Marc Lavry’s cheerful Hora songs to welcome the new year. Although the song “Hora Nirkoda” is better known, we choose to play the song Hora (Hach baregel), written to the upbeat words of Reuven Avinoam, performed by singer Yaffa Yarkoni.